What Can We Expect from VooGlue in the Near Future? Amazing things. First keep an eye on our social media platforms and our VooGlue web platform VooGlue.com for new art creations in the VooGlue style. A group of collaborators in the art, music and film spaces will be creating innovative new art pieces on the platform using our web app to WOW us all. At the end of the ICO we will be launching our mobile app, which will allow fast and easy access to all VooGlue facilities for anyone in the arts ecosystem. Remember, VGC token owners will receive the mobile app first. Look out for enhancements to our platform that will allow our mobile app to fingerprint sculptures and installations and add augmented reality to the digital experience. Increasingly you will see VooGlue art pieces in museums and galleries around the world as we roll out the platform. Later the VooGlue API will allow every gallery and museum globally to easily integrate the VooGlue mobile app into their existing websites and business model. https://vooglue.io/wp-content/uploads/2017/12/cropped-logo-1.png 0 0 Graham Stone https://vooglue.io/wp-content/uploads/2017/12/cropped-logo-1.png Graham Stone2018-02-09 05:29:102018-02-09 05:29:10What Can We Expect from VooGlue in the Near Future? When people first hear “VooGlue,” they often wonder aloud what the name means. “Sounds like a cross between Voodoo and glue,” is a common reaction. VooGlue founder and CEO Brian Carew-Hopkins did in fact come up with the name as a combination of those two words. But since Voodoo has, like many ancient words, taken on a skewed meaning in popular culture (namely that of magical dolls with pins stuck in them to inflict pain on one’s enemies and the resurrection of the dead as zombies), it’s worth explaining Voodoo’s true meaning and how that fits together with VooGlue’s vision. Voodoo is in fact a West African animist tradition that goes back at least a thousand years, with the current pop-culture component of it deriving much later from interaction with Haitian immigrants to the US. Benin is regarded as the birthplace of the Voodoo tradition, with the name itself simply meaning ‘spirit’ in the local Fon language. What sets the real Voodoo apart in the modern context, however, is the way it survived in the face of the enslavement and cultural annihilation perpetrated in West Africa between the 16th and 19th centuries. At the time, Voodoo became a cultural “folkway”: a common understanding among local inhabitants that could not be destroyed by the European slave traders. Traditions and beliefs were passed down, often secretly, through the generations, surviving the invaders best efforts to obscure or eliminate them. It is this reference to a truth that cannot be destroyed that makes Voodoo the perfect word to encapsulate what VooGlue accomplishes. Just as Voodoo was a way for a cultural truth to survive despite the efforts to destroy it, VooGlue enables the truth of an artwork’s origin, ownership, and meaning to survive no matter who possesses it and where it is located. This is accomplished with the use of a distributed public blockchain. 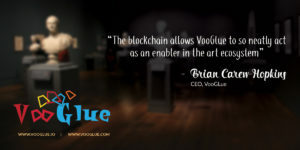 The “glue” in VooGlue refers to the permanent “gluing” of a multimedia counterpart to a physical artwork, again accomplished with mechanisms enabled by a distributed public blockchain. This multimedia counterpart could be anything from a time-lapse video of the art being produced, to a clip of the artist explaining the artwork. 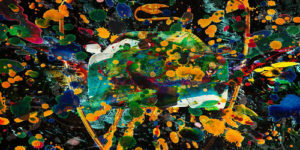 By permanently attaching this counterpart to an artwork, the artist’s true vision has a greater chance of surviving throughout the lifetime of the physical art, and even beyond. Inspired by a culture that could not be destroyed, VooGlue’s mission is to ensure that art’s providence and meaning survive, and that the art world thrives for a new generation. VooGlue brings together a global team of art lovers, community managers, and blockchain developers. 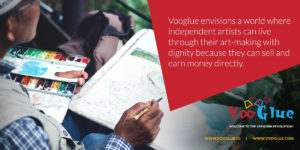 Each team member adds to VooGlue’s vision of enabling a fair and transparent art market, enhancing the ability of artists to connect directly with their audience, and using technology to add an extra dimension to art itself. “It sometimes takes people a while to really ‘twig’ to what VooGlue is all about. It took me a long time, even after I had the idea of connecting an artwork to its speed painting via a mobile device. It was not until I experimented with the technique I realised artists could add hidden meaning inside the artwork, and then a longer time before I realised the VooGlue facility actually ‘unlocks’ wall hung art. It dawned on me that that artists no longer had to be confined to the surface layer of paint. I realised the opportunities for collaboration between artists, musicians and film studios using VooGlue in new and inventive ways, and the further opportunities with augmented reality and whole gallery spaces. It really is mind blowing. After people get it they can’t stop talking about it. That’s really exciting. As CEO my role is to lead the development of the VooGlue enterprise, with our shared objective of bringing VooGlue to all art lovers, artists, galleries, museums and users globally so it is self sustainable. The VGC token is at the heart of this as it is the means of exchange which allows the art ecosystem to function more effectively and for a wider audience. It brings new creative experiences, and new opportunities for prosperity to people all over the world. “As the Community Manager of the Vooglue Team, I work closely with determined and talented social media specialists to be sure that we are present every time someone needs answers about this new and unique ecosystem. Imagine if we had the ‘VooGlue’ concept back when Michelangelo or Leonardo Da Vinci created their famous paintings. To know what they were thinking or what really inspired them to paint their art pieces. PRICELESS! My job is to help artists showcase their work on an international scale. I’m so excited to be able to give artists a great opportunity to articulate the meaning or journey behind the piece created in their own unique voice and style. Art has evolved together with humankind for thousands of years. And now, I think the time has come to help art come to life; to see what the artist saw, to hear his words and to feel at least a glimpse of what he felt while creating the piece – to catch the true meaning and see the invisible weaving behind the beauty of a completed masterpiece. VooGlue aims to make that possible. That’s why I love it. Besides that, I am a big supporter of decentralization, as it allows the market to become free and fair. And nothing makes me happier than seeing artists being able to follow their dreams. That is another reason why I am so eager to see the change this project of ours will bring. We are in the very early stages of a technological revolution; perhaps the dawn of what may someday be called the “decentralized era.” Just as in the early days of the Internet there was a lot of confusion about what the new technology meant, presently a majority of people lack a basic understanding of the direction we are moving. My role is to explain to newcomers the implications of, for the first time, being able to create digital scarcity. As it applies to art, this new technology is very much needed so I’m excited to be able to facilitate the positive disruption by helping people to understand what’s coming and so enabling them to make the informed decision to join early-on. Personally, I can’t wait to see how this technology changes art for the better. Having advised several ICOs, Daniel ensures VooGlue follows best practices in the space while additionally advising on organic network growth techniques. I love the VooGlue concept. Most decentralized projects now offer just another coin for transaction purposes, but not many are so innovative as to include and use the blockchain technology on something like art/museums etc. 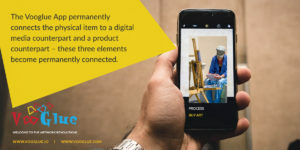 When looking at a piece of art and being kind of “bored” because there is no explanation of what you’re seeing, VooGlue perfectly fills that gap, providing visual video content for a more interactive experience. This project excites me because interlinking art and technology embarks a new era of art evolution. The “gluing” technology brought by VooGlue provides artists more opportunities to flourish. Building a distributed marketplace on the public blockchain promotes the preserving of art while advancing its future. I’m excited to assist customers in their issues and inquiries as this project evolves. As a graphic designer I understand the challenge of bringing life and meaning to images. I’m excited to, in the early stages, help make VooGlue’s concept easily understood. In so doing I hope to contribute to the development of a new form of art. VooGlue is all about art & that’s what makes it an interesting project to work on. I’m quite an art lover which is why I found myself apt for this project. 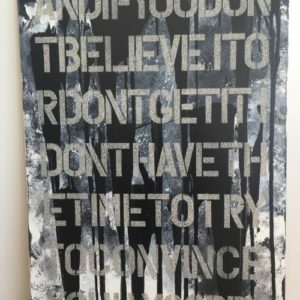 VooGlue is now conducting a pre-sale for its token generation event in order to raise funds to develop its new art ecosystem for the blockchain era. This is your chance to be an early contributor to the VooGlue project by directly investing in VGC tokens. What is the VGC Token? The VooGlue Token is listed as VGC and adheres to so-called “ERC-20” token standards. The ERC-20 standard establishes a common set of rules for tokens issued via Ethereum smart contracts. It currently serves as the basis for the majority of tokens that have been released through token generation events, often called initial coin offerings (ICOs). By defining a common set of rules for ethereum-based tokens to adhere to, the ERC-20 standard allows developers of wallets, exchanges and other smart contracts, to know in advance how any new token will behave. This is the main reason VooGlue has chosen the ERC-20 standard. VGC acts as the fuel for the VooGlue art ecosystem, facilitating the efficient buying and selling of art and granting access to the other features of the platform such as the “glued” digital multimedia counterparts, and affiliate marketing opportunities. This is explained in detail in the VooGlue whitepaper. How to Participate in VooGlue’s Token-Sale? 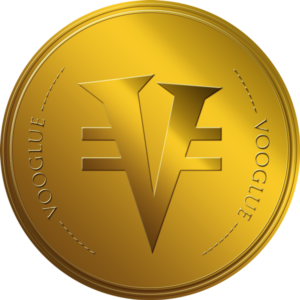 Once you get cryptocurrency into the crypto-ecosystem, you can quickly and easily use it to buy VooGlue’s token. Please visit our token sale page and follow the instructions. 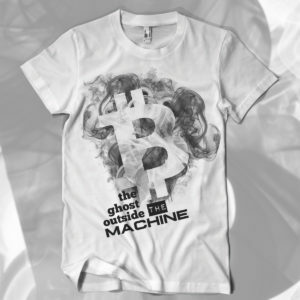 You can purchase with Bitcoin, Ethereum, and cash using PayPal, credit card, and by bank transfer. The pre-sale is behind held from January 19th to March 20th. The public sale of VGC tokens is set to begin on March 21st and run for three months. The pre-sale is behind held from January 19th to 20th March 2018 (at midnight GMT) or until fully subscribed. The public-sale of VGC tokens is set to begin on March 21st and run for three months. Personal Limit: Individual purchases are limited to 1% of total offering. There are bounty opportunities during the pre-sale and public ICO. Details can be found here. Pre-sale funds are employed immediately for business development & ICO marketing. ICO funds are held in escrow. VGC tokens migrate to full Dapp token managing business rules after ICO, and tokens are placed for open trading on exchanges. There were 235 Initial Coin Offerings in 2017, raising a total of $3.7 billion. In the still largely unregulated world of ICOs, and with that much relatively “easy money” up for grabs, it’s not surprising that some of the 235 turned out to be scams. 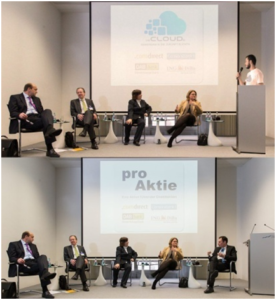 Notable in its brazenness was a project called DeClouds, whose founder went so far as to photoshop a picture of himself seemingly giving a talk at UBS Bank after claiming to have a partnership with said bank. Several projects were accused of running Ponzi Schemes. PlexCoin, which promised investors a more than 13x return within a month, had the dubious distinction of being the first target of the newly formed Cyber Unit of the US Securities and Exchange Commission (SEC) in December. While the new funding mechanism enabled by the “Token Generating Event” has certainly attracted some bad apples, the vast majority of ICOs in 2017 were legitimate projects seeking to raise funds to kick-start valuable businesses. People who invested money in the best ICOs were handsomely rewarded, in some cases with much higher returns than even traditional first round venture capitalists have ever been able to achieve. But with so many new concepts associated with this emerging technology, the only way to really know if the buzzwords make sense or not, is to put in the time and do the research. A serious investor will read whitepapers and Google everything they don’t understand. If a project claims to be able to fix a huge problem practically overnight, consider that a red flag. Additionally, no serious team will ever make a price prediction about their token or claim it can bring world peace. The best teams clearly and soberly present their project, leaving it up to the investors to decide how valuable it is. Check the project’s roadmap. Is it realistic? What needs to be done in order to achieve the goals on the roadmap? Many token offerings give significant bonuses to early investors to kick-start investment. While this is often warranted due to the fact that earlier investors are considered to be taking on higher risk, if the bonus is too large, the project risks becoming a Ponzi scheme. If early investors receive huge bonuses, as soon as the tokens hit the market, they can simple dump their tokens at a profit and move on to the next project. When you buy into an ICO, you should check that there’s a clause in the fine print stipulating that any funds raised are first held in escrow. The best projects lock up funds meant for development into escrow accounts with strict stipulations on how and when those funds can be released. This is often tied to reaching (or not) specific targets laid out in the roadmap. Is There a Working Product? If Yes, Try It! One way to get a better idea of what a project is capable of, is to actually test out their working product. Many projects already have these; some are in beta stage, while some have been working outside of the blockchain environment for years and are in the process of being adapted to blockchain. Putting in the time to try them out will give you a much better idea of how far along the project is and, judging by things like the design and functionality of the product, how professional the developers are. Many, if not most, blockchain projects are open-source. This means you can go to their github and actually look at the code. You don’t have to be an expert, or even really understand anything about coding at all. Just have a look at how much activity there has been recently. Is it an active community? How many people have been contributing? The developer community lives on forums like reddit and bitcointalk. Many projects will open a channel on these platforms, giving anyone interested a chance to “Ask Me Anything.” Checking these forums is always a good way to gauge not only the legitimacy of the project, but also the level of community involvement. Additionally, many projects open a public Telegram channel (usually linked to from their website) where you can again ask questions to team members and see what other people are saying about the project. This is a major consideration. Take the time to dig into the team member’s backgrounds. Check their Linkedin profiles, see how active they have been in the blockchain space and what other projects they have worked on. Are there any superstar team members? This is someone who has already gone through the ICO process and can use their recently gained connections to help the project succeed at things like getting the token listed on top exchanges. If the project is a decentralized casino that runs on the blockchain, having top players in the online casino industry as advisors is a huge plus. Many blockchain projects open up a mountain of legal questions, so it’s crucial have a good legal team. Ultimately there’s no substitute for putting in the time to do your due diligence before investing. That being said, there is a growing list of third-party resources that may advise you along the way. While these sites certainly contain valuable information, it can be hard to determine how independent the information presented is. It’s entirely possible for a project to pay such a site to be featured as a good investment opportunity. In an attempt to solve this problem, platforms like Wings are being developed. In this blockchain platform, projects are scrutinized by a decentralized community of WINGS token holders. The goal is t crowd-source decentralized wisdom to give investors an unbiased prediction of how successful a project can be without having to research it themselves and without having to trust a single centralized entity. Art has always been used as a way to describe and depict revolutions, so it’s no surprise that artists are choosing the themes associated with blockchain technology as inspiration for art that is relevant in the modern climate. Bitcoin of course has its origins in the disillusionment and anger caused by the 2008 financial crisis and the subsequent bailout of the banking elite. It was created as a radically new (revolutionary?) alternative. 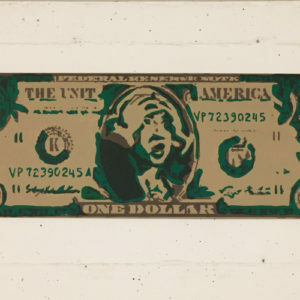 Artists clearly sense the revolution that has been started by the decentralization movement. 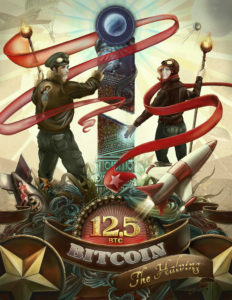 Themes that are being explored in the crypto-inspired art include the quest for freedom, trusting in math rather than people, globalized decentralization, regulation, new governance models, and balance of power. 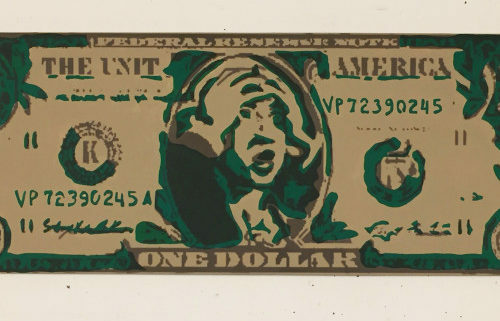 The themes currently being explored are also increasingly expressed in pop-art form and on T-shirts and other accessories. Julia Tourianski is one artist in this space. As a promoter of anti-state mentality, she makes videos, writes articles, and helps organize events such as Toronto’s Liberty Now. She also produces and sells pop-art through her website Bravetheworld. Another active artist in this space goes by the name Cryptograffiti and creates art through the lens of “the blockchain challenging the status quo.” Early in his career he was on the first artists to utilize a public-facing wallet to receive crypto donations for street art. 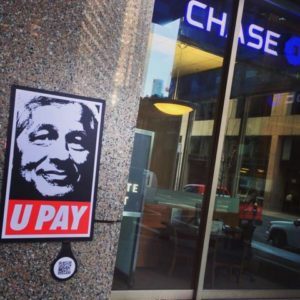 This enabled passersby to send bitcoin in support of his art. This is a medium that is being notably explored by Texas-based CryptoArt, which helps people understand, enjoy, and collect digital currencies. 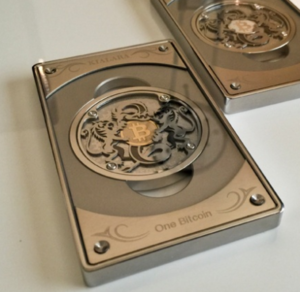 The crypto-themed artwork doubles as a public address (displayed in a QR code on the front) and a cold storage wallet (with the private key sealed under a security sticker on the back). Cyptocurrencies of course have no physical form, but a thriving niche of collectors and enthusiasts have created demand for artists to produce beautifully crafted coins inspired by them. These coins serve the double purpose of giving a physical representation when explaining cryptocurrencies to newcomers, and as a collector’s item for those who see them as a piece of the technology’s history. Maxfield Mellenbruch, expanding on the ethos of cryptocurrencies through his stunning series of physicals, is behind Kialara a collection of intricately designed physical coins with high-quality craftsmanship. Some of the coins, like the cold storage artwork, can be loaded with actual crytpocurrency. A different form of physical Bitcoins is being created by Los Angeles-based German artist Matthias Dörfelt, who uses the hashes from 64 random blocks combined with his unique software to make an eccentric pattern that in its way is a physical representation of a coin. Dörfelt says every bill is created entirely with code except for the signature. 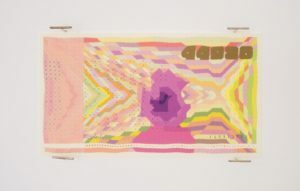 Dörfelt has created a series of 64 banknotes from the blockchain. Bitcoin and other cryptocurrencies can be purchased in many ways but the majority of purchases and trades today occur on centralized exchanges. Entering the cryptocurrency ecosystem can be a little confusing. Once you have changed (fiat) cash into cryptocurrency, however, it becomes much easier to transfer from one currency to another. Most people enter the ecosystem by purchasing Bitcoin, as it has the most widely available options for purchase. In most major cities there now exist a growing network of Bitcoin ATMs. To buy from an ATM you first need to create a “wallet” (see below), then insert cash into the machine. The machine then sends the purchased Bitcoin to your wallet. It’s possible to actually physically meet a person, hand over cash, and receive the “keys” to purchased bitcoin, although this is rarely done in nowadays in developed countries. To purchase bitcoin in person you would confirm that the bitcoin has actually been deposited in your personal “wallet” before leaving/handing over the cash. The next way is to find a seller online and purchase directly from that seller. The most popular site for this is localbitcoins. This site allows you to find people who are willing to accept cash transfers in exchange for bitcoin. In this case trust is established through reputation, so if you see that the seller has a high rating on the site, you can expect to actually receive the bitcoin once your money has been transferred to their account. Using localbitcoins is more popular in countries that don’t have legal Bitcoin exchanges. In order to improve convenience and reliability over the above two options, centralized Bitcoin exchanges have been established. In this case you must trust the reputation of the exchange. After the Mount Gox scandal of 2014, and in response to investigations relating to money laundering and the use of bitcoin in criminal activity, exchanges became more regulated starting in 2014. Know Your Customer (KYC) and Anti-Money Laundering (AML) policies were established so that before you can deposit dollars or any other fiat currency to one of these centralized exchanges, you now must submit personal documents to verify your identity. This process usually takes between a day and two weeks, and for some exchanges may involve extra security measures such as the receipt of a confirmation code to your home address. Once you are approved with an exchange, you can transfer your fiat currency directly from your bank. When the currency has been accepted by the exchange, you can purchase bitcoin at the rates listed on your exchange. 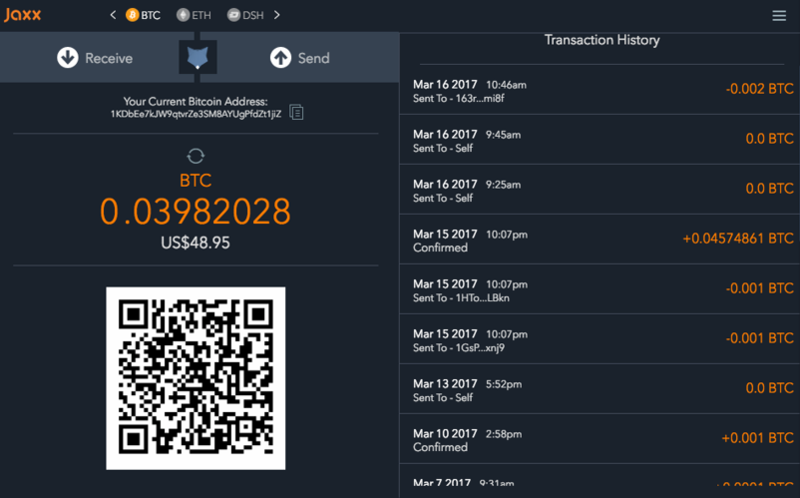 Bitcoin purchased on an exchange is held in a wallet created for you by the exchange. It’s worth noting that in this situation, the exchange technically has access to your Bitcoin in addition to you. A growing list of exchanges now allow small purchases of bitcoin with the use of an approved credit card. This process can be slightly faster and more convenient than the above cash transfer process but still requires some form of verification and generally results in higher fees. If you plan on purchasing a small amount of bitcoin, this is probably the fastest, easiest, and most familiar way (if you already have a credit card). Once you have moved fiat cash into the cryptocurrency ecosystem, it becomes significantly easier to exchange between currencies. This can be done instantly within centralized trading exchanges like Coinbase, Bittrex, Kraken and Binance. Trading can also be done through decentralized exchanges like Shapeshift, which is built into the user interface of popular wallet applications like Jaxx, allowing you to instantly switch between supported cryptocurrencies within your own wallet. Completely decentralized exchanges that look like traditional trading platforms (with order books and price history) like Etherdelta have already begun, with many other exchanges planning to build or switch to the decentralized model. In the decentralized model, tokens are held in smart contracts until orders are matched. This means there is no chance of the exchange suddenly “going bankrupt” or otherwise disappearing with your tokens. A bitcoin or cryptocurrency wallet is, as the name suggests, a place to store your bitcoin or cryptocurrency. It’s easy (and free) to make a wallet, but the security of wallet you need to employ really depends on how much money you have in it and how comfortable you are with that amount of money. Storing cryptocurrency securely can be a tricky endeavor for non-tech savvy investors. Therefore, most investors leave their coins in the digital wallets controlled by the online exchange where they purchased the cryptocurrency. This is akin to letting a company store your gold for you instead of storing your gold yourself. However, this is even more precarious because over a third of cryptocurrency exchanges have been hacked, and none of them offer deposit insurance. A convenient online wallet is probably the best option for small amounts of money. These include Electrum, Mycelium, BreadWallet, and Bitcoin Wallet. Once set up, many of these wallets don’t require you to enter your private key in order to make transactions. They are apps that trust that the holder of the device is the one with permission to use the wallet and so work conveniently like other apps on your phone or in your desktop browser. In this case, you’ll want to follow some best practices related to the handling of your private key. Don’t save it on your computer. Don’t email it to yourself. Don’t type it into a website while connected to public WiFi. In an ideal world, you would never write your private key, not even on paper. If you trust yourself to memorize a string of characters like the one above, you are an impressive human being. If not, continue reading for your other options. Write it down on paper. Put one copy in a safe in your house and the other copy in a vault in a bank. This way you’re protected unless your house burns down and the bank gets robbed at the same time. You also have the option of dividing your key into two or more parts. This is called a multi-signature wallet. Doing this would mean that the only way access the funds would be to have both keys at the same time, thus allowing you to further diversify your risk. If your wallet contains millions of dollars, it’s definitely worth it for you to take these steps. A hard wallet like the Ledger Nano S or the Trezor is a piece of hardware about the size of a USB Thumb drive that you plug into your computer’s USB port. This is a good option because it makes accessing not only your bitcoin, but also most other cryptocurrency wallets you may have, both safe and convenient. It does this by reducing all of your passwords to a single PIN that is, in fact, possible for a normal human like to remember. This means that you’ll be able to securely access your cryptocurrency accounts without opening your safe, getting that out that paper, and typing in the complex password you’ve created. The PIN is used to access your accounts on a daily basis but it is still backed up by a longer and more complex password. If you lose or break your hard wallet, therefore, you will still be able to access your accounts. You do this by unlocking them with a pneumonic phrase that is generated when you first turn on your hard wallet (the pneumonic phrase should be saved in the same way as your private key as described in the steps above). It is estimated that at least 10% of bitcoins currently in existence are simply “lost.” This means that the owners have misplaced their private keys in some way. The internet is rife with stories of people desperately searching for lost keys, including one man who is scouring an entire landfill to find a USB containing 7,500 bitcoins. There are have also been numerous cases of people losing their bitcoin through phishing scams and possibly malware. Holding cryptocurrencies is akin to carrying around not just a Swiss Bank Account in your wallet, but a whole Swiss Bank. But with this great power comes great responsibility. If you handle your private keys according to the best practices outlined above, you will never lose your tokens. If you’re not careful, however, you might lose everything, and there’s no help desk to call. With over half a trillion dollars now invested in more than a thousand cryptocurrencies and blockchain projects, everyone should have a least a basic understanding of the mechanics of what many are calling the web 3.0. One of the first big applications of blockchain technology is the ICO or “Token Sale,” which is a new way to raise capital that is disrupting traditional fundraising methods. With ICOs suddenly outpacing traditional venture capital funding by raising almost $4 billion in 2017, startups and investors around the world are taking note. An ICO is often compared to an Initial Public Offering (IPO). The main feature that gives the ICO both greater potential for raising money and higher risk/reward for investors is that it allows a wider range of investors to gain earlier access to the investment opportunity. In the traditional model, by the time a company has made it to the IPO stage, it has already been heavily invested in by a small pool of connected venture capitalists and “angel investors.” Additionally, when the public offering is finally made, it is typically only available to retail investors who have access to the specific market it is available on (such as the NASDAQ). ICOs, however, can be made available to anyone anywhere, and contributions could theoretically be less than $1 each. With this kind of ease of access to investment, ICOs with little more than a website and a whitepaper have raised millions of dollars. The first ICO was in 2014 but it wasn’t until 2017 that ICOs exploded in popularity. 2017 saw more than 10 times as much raised through ICOs as 2016. Out of the 25 highest crowd-funded projects of all time, 18 of them are blockchain companies. The secure transaction of information across a distributed network of computers is possible because of “asymmetric encryption” a concept developed in the 1970s. This, along with peer-to-peer networking and distributed computing, combines to enable blockchain functionality. The development of blockchain technology effectively solved the “double-spending problem” thereby enabling a safe peer-to-peer payment system. Double-spending is the digital version of counterfeiting currency. Blockchain transactions are logged sequentially in an immutable and slowly growing chain that is recorded on all of the “nodes” in the network (nodes are essentially computers that store and process transactions). With counterfeiting eliminated in a peer-to-peer transaction, it is now possible to record transactions without the need for a “trusted” centralized authority to confirm that they are correct. This means that tokens issued in an ICO can be safely purchased by anyone with access to the rapidly growing cryptocurrency ecosystem. What is the Token for? A typical ICO offers tokens in return for currency invested. The token can represent some sort of value or be of value itself. Tokens that represent value are typically called cryptocurrencies, with Bitcoin being the biggest example.The other way tokens are used is to power some form of functionality in the network. In the case of Ethereum, the Ether token is used to pay for the execution of smart contracts. What Else Can Blockchain Do? The power of blockchain technology lies in its decentralized and distributed “trustless” network which provides not only security, but also allows “perfect” economic behavior. Many blockchain projects are essentially designing new socio-economic systems that are built to incentivize positive behavior and unlock potential growth. Instead of the uploaded content being stored and indexed on centralized servers which act as gatekeepers, it would be stored on a decentralized network of computers operated by anyone, anywhere in the world. These people would be incentivized to use their computing power and storage space by offering them an economic reward, or token, which would become the currency of the network. People who watch content on the network would pay for it either by purchasing tokens or exposing themselves to advertising (advertisers would then be buying the tokens). Anyone who uploaded content to the network would be the owner of that content, and would receive all royalties minus the costs to run the network. In this system, there is no owner of the network so there is no middleman taking a share of the profits. There is also no chance of censorship. Once the information is uploaded and agreed upon as correct by the consensus rules of the protocol, it becomes immutable because it is spread across computers all over the world. Making any changes would require agreement by everyone involved. Decentralized applications, therefore, eliminate the need for profit-taking middlemen while increasing users’ freedom, rights, and security. Decentralized applications allow the true power of economic incentive to be unleashed. Instead of a centralized authority taking a significant portion of the value, individuals get a bigger share based on the value they bring. Individuals are therefore more incentivized to bring value to the platform than through an equivalent centralized platform. The result should be an overall increase in value. What Kinds of Decentralized Applications Can Exist? People are working on applications to decentralize everything from ride-sharing apps to home mortgages. There are decentralized projects that enable content sharing, cloud computing, real estate transactions, and of course value exchange. Can a Decentralized Blockchain Based Project Make Money for Its Creators? Most of the proposed use-cases for blockchain projects will disrupt centralized industries. The point is to generate value, but not necessarily for the people who created the network. Most projects, therefore, reserve for themselves a significant portion of the tokens produced. These tokens are sometimes locked up until certain objectives in the development roadmap have been reached. If all goes well, the builders of the project should be able to profit by holding tokens that grow in value as the value of the network grows. Project builders are of course also well positioned to profit from the economics of the system they create. They can, for example, “mine” tokens themselves or otherwise participate in the network they have created. Have questions about the Token sale? Post them in the comments, we are here for you.